There are many specially formulated recipes for waterless cooking. Food is sometimes cooked in the steam of boiling water. Based on the theory that vital nutrients and vibrant flavors are lost when cooking food in water, waterless cooking is the preparation of food in its own natural juices, with little or no added water. The underlying principle for waterless cooking is the process of pressurized steaming and therefore calls for lower cooking temperatures. Waterless cooking requires a set of special cookware with secure lids to prevent steam from escaping and to allow pressure to build up. Waterless cooking can be used for many types of ingredients, including meat, poultry, seafood and vegetables. Depending on the natural moisture content of the ingredients, a little water might be needed to provide adequate liquid to produce steam. For simple meals, seasonings and flavoring agents, including herbs, spices, soy sauce and cooking wine, can be added to the pan before the lid is sealed and heat is applied. There also are many specially formulated recipes for more elaborate dishes such as casseroles and stews. Certain condiments and side dishes such as complex sauces, pasta, grains and bread must be prepared using the conventional methods of sautéing, boiling and baking. The effectiveness of waterless cooking depends on the construction of the cookware. High-quality waterless cookware usually is made of a multilayered metal core composed of iron, aluminum and copper, clad with a layer of surgical steel. The core metals are efficient heat conductors, and the stainless steel forms a passive oxide coating with exposure to air that helps maintain its bright finish. The lids of the pots and pans form a tight seal and have steam valves that whistle when pressure and temperature reach desired levels. Many pans are designed to stack one on top of the other during the cooking process for maximum energy efficiency. Waterless cooking has many advantages. In addition to the preservation of nutrients and flavors, this cooking method requires little or no oil because the uniform heat distribution prevents burning and sticking. Waterless cooking is energy efficient, because it requires shorter cooking time at lower temperatures. Waterless cookware is easy to maintain and might come with a lifetime guarantee. Waterless cookware often is sold at home demonstrations, where sample meals are prepared for prospective buyers. Sets also might be purchased through television infomercials that demonstrate the various applications for everyday use. Waterless cookware can be purchased in sets or as individual pieces and can be found at department stores, at specialty kitchen shops and through online retailers. How Long Does It Take to Cook out Alcohol from a Dish? What Are the Different Types of Casserole Cookware? 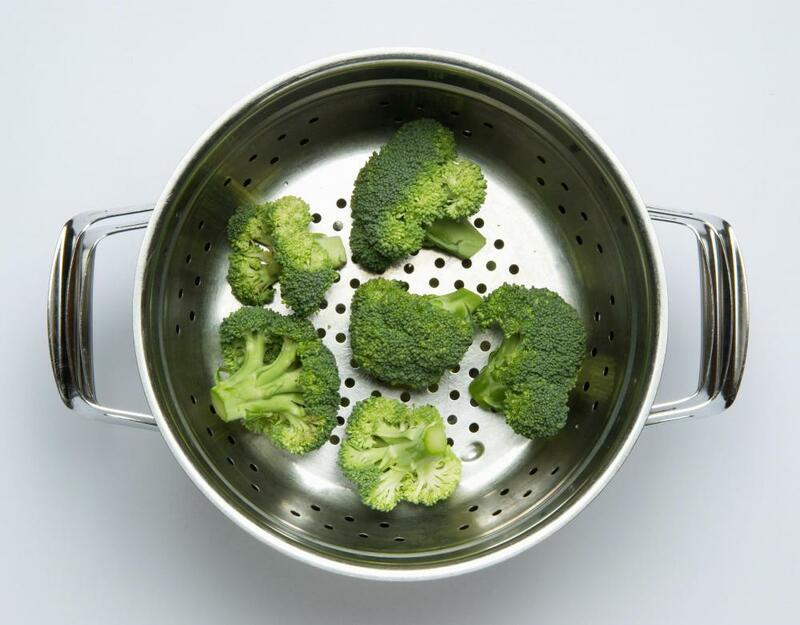 What Are the Best Tips for Cooking with a Steamer? What Are the Best Tips for Cooking with Wine? What Are the Best Tips for Pressure Cooking? What Are the Best Tips for Healthy Cooking? What Are the Different Methods of Cooking? @cloudel - Zucchini is my favorite by far. It has such a wonderful natural flavor that really comes out when you steam it. My husband likes steamed broccoli, and we both love steamed chicken. @orangey03 - What kinds of food would you say have the best flavor when cooked in a steamer? I've been thinking about getting one, because I'm trying to eat healthier these days. I have a two-tiered steamer that I use for cooking meats and vegetables. The great thing about cooking food in the steamer is that I don't even have to add sauces or herbs for seasoning. The food retains its natural flavors so well that doing so would actually take away from the taste.